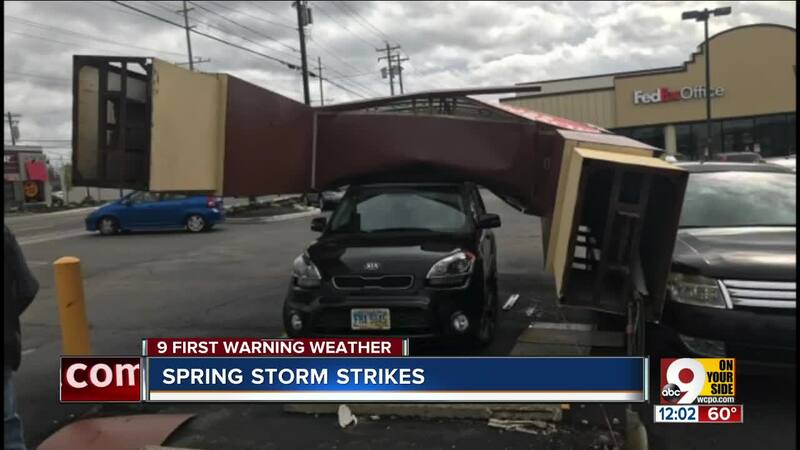 The National Weather Service in Wilmington, Ohio is conducting storm damage surveys in three areas of the Tri-State to determine if a tornado touched down during morning storms on Friday. Rain and wind hit the area fast and furiously around 7 a.m. when most people were getting ready to leave home for work or school. Many counties sounded outdoor warning sirens. 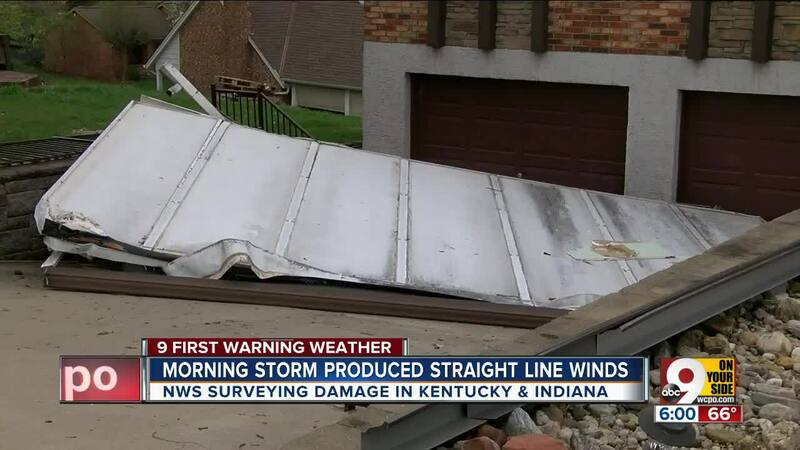 The weather service determined that damage in the Warsaw, Kentucky, Switzerland County, Indiana and Union County, Ohio areas was the result of straight line winds. Teams will also conduct surveys in the Erlanger area in Kenton County, Kentucky. There have been no reports of injuries as of Friday afternoon, but plenty of reports of downed wires and trees. In Edgewood, the storm ripped the roof of Gene Berwanger's patio, blew it over the house and crashed it into the front of his neighbor's home across the street. "We usually get a lot of wind because we're up on top of this hill, but nothing of this caliber," he said. Downed power lines blocked a stretch of Erkenbrecher Avenue near the Cincinnati Zoo. Damage and debris closed part of Deerfield Road in Miami Township in Clermont County. The weather service will also investigate damage in communities north of the Tri-State; Yellow Springs, Ohio in Greene County, South Vienna, Ohio in Clark County and damage in Union County. CLICK HERE to read the latest forecast. This is a developing story. Stay with WCPO for updates.